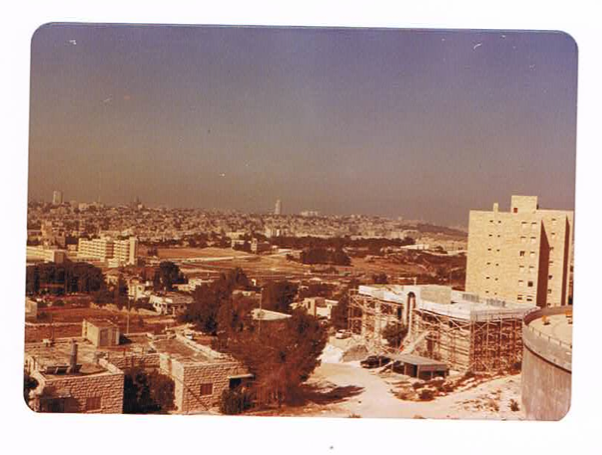 Before the dis-occupation of Sinai, before the Sadat visit, a more innocent version of Zionism, and a lower, more human profile to Jerusalem’s skyline. viewed from French Hill, 1977. This photo was probably taken from a building on Dakar Alley. Does anyone have an updated version?